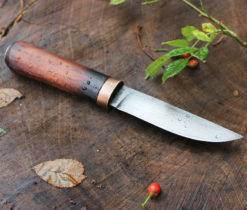 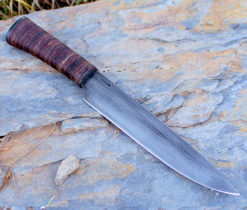 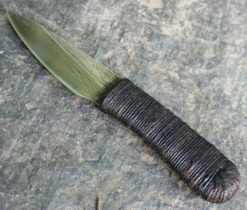 Here is a slick little blade inspired by the trade knives of the late 1700's. 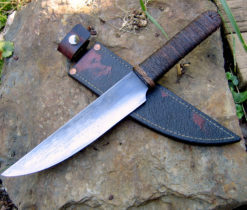 (Don't quote me on that.) 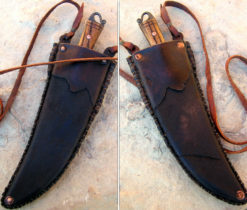 The sheath is designed to be tucked into the belt of sash and tied off. 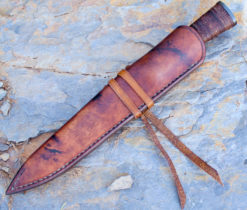 Not exactly period correct but cool just the same. 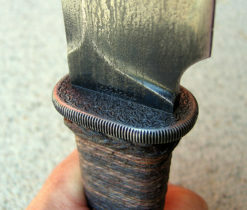 Here is a slick little blade inspired by the trade knives of the late 1700’s. 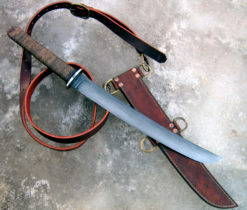 (Don’t quote me on that.) The sheath is designed to be tucked into the belt of sash and tied off. 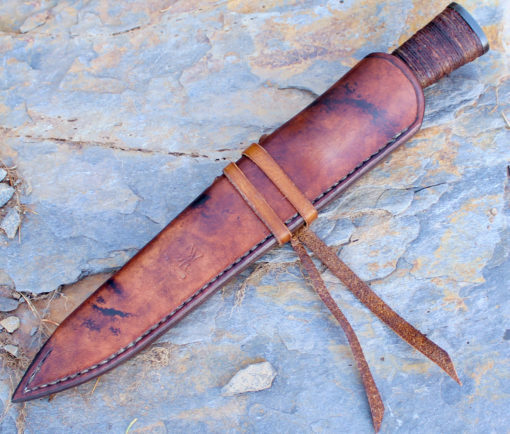 Not exactly period correct but cool just the same. 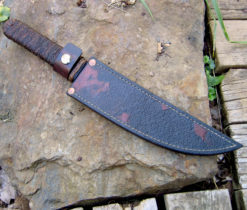 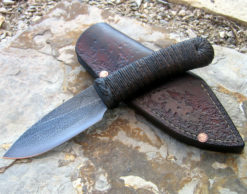 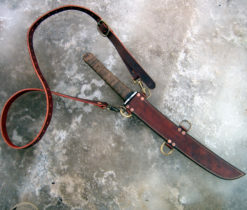 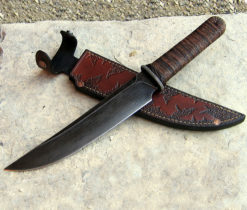 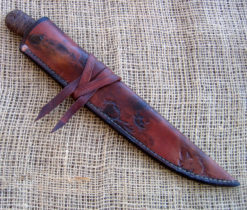 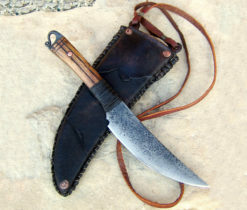 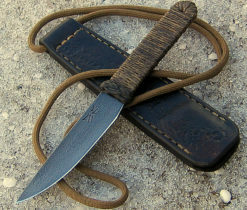 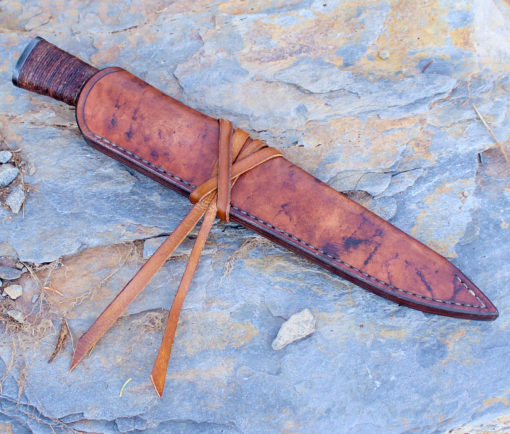 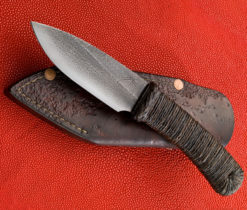 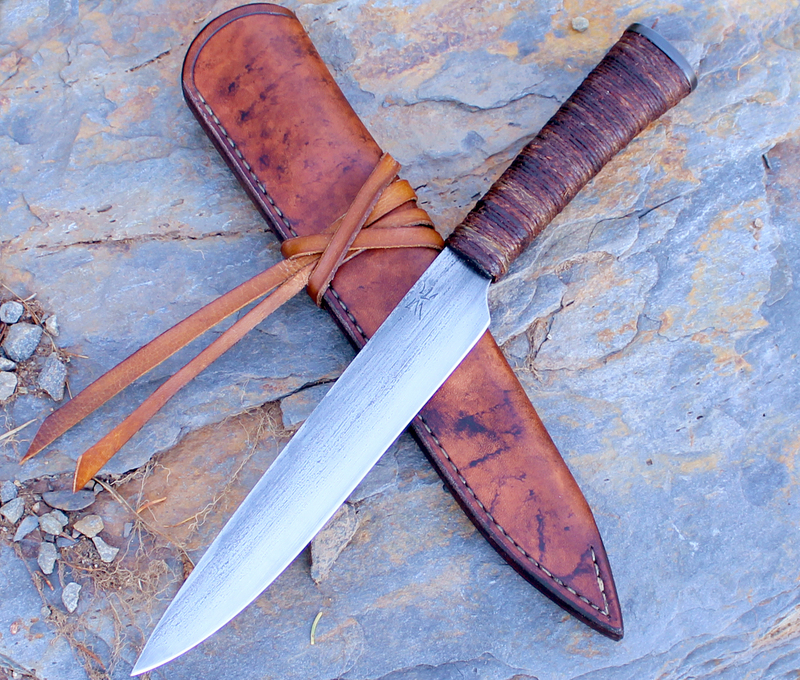 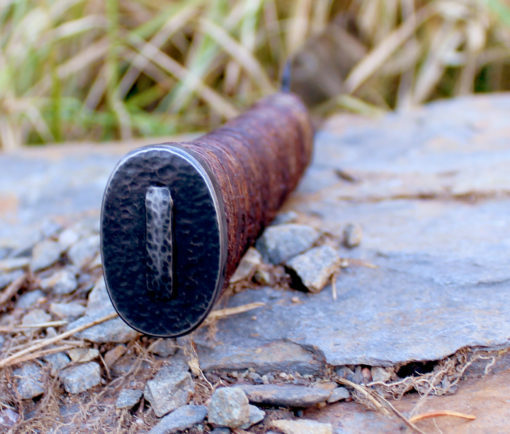 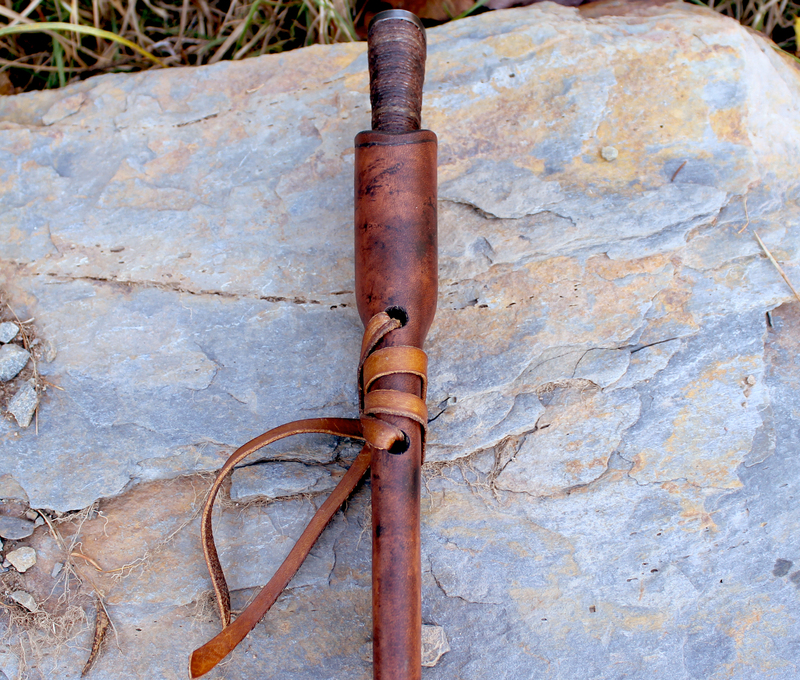 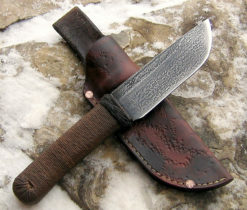 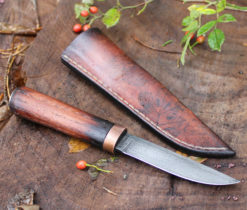 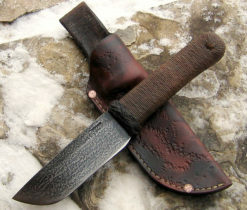 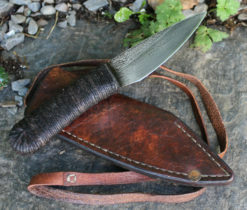 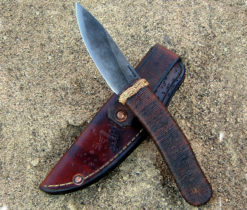 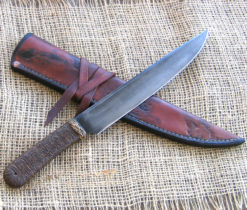 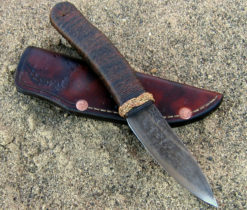 Sheath: Leather, hand stitched, dyed, wax dipped. 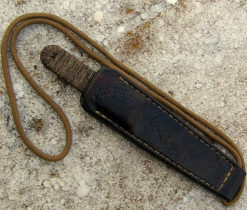 Leather tie off strap for belt/sash carry.